This BUILDING Party will start off with your participants picking out their very own unopened Tamiya kit. Although various models will be available to select from, all participants will build cars with the same chassis. This will allow the Party Instructor to walk the group though the build process together. 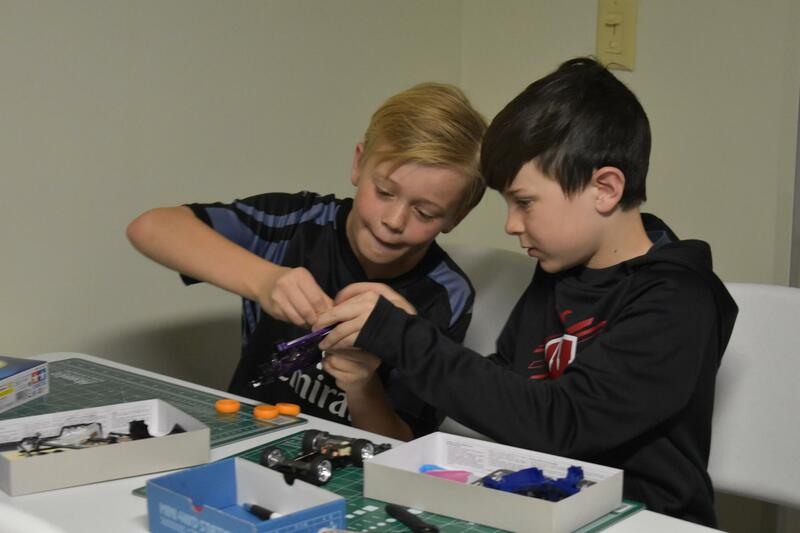 Unlike the 'Tamiya Trainee' Party, participants at a 'Build' Party will learn more about model construction, gears, electric motors and physics as they are guided though the full build their own vehicles! This building step typically takes 90 minutes to complete.